In May of 2013 three folk wandered into The Strid Woods in Yorkshire at 4.00am. Jo, Steffen and thecheesewolf stood, listened and drank mint tea. This is one view of that amazing morning. Do you have a book out? 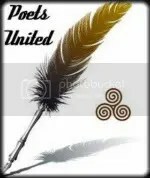 I read the poem you submitted at Poet’s United and I just wanted to tell you it was fantastic, you are a talented man! Hi: thanks muchly! Sorry haven’t been following up on prompts of late – there are many things going on here, but I’ll be back… I haven’t got a book out, as I prefer working on-line, and in collaboration (usually with visual artists). I find this keeps the poetry alive for me, and connects with audiences beyond the usual. I’m doing a series with a really wonderful visual arts, Cheryl Garner, at the moment that I am really proud of. The early outcomes are to be found under Vicarious Journeys on http://www.thecheesewolf.co.uk . I feel blogs such as yours, which bring likeminded folk together, are worth many a fine book. I noticed the comments are closed where should I leave my comments? I just read Soliloquy such a tender mournful poem, tugs at the heartstrings and that picture is perfect. I forgot I’d disabled comments on my website a while back because of the spam it was attracting (a couple hundred a day). Thanks muchly for your comment here! Yikes that is a lot of spam! Should I just comment here?